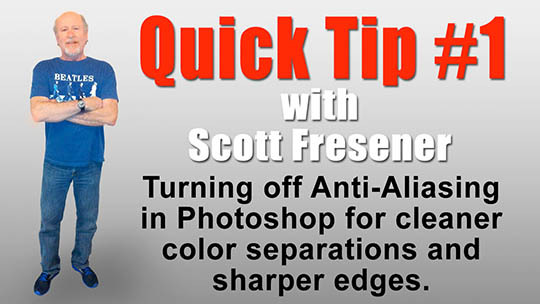 Quick Tip #1 – How to get cleaner and sharper separations by turning off anti-aliasing in Photoshop. Quick Tip #2 – How to use the Info Panel in Photoshop to check files and make them print better. Quick Tip #3 – How to convert a Photoshop channel separation to clean and crisp Halftone Dots without a RIP. Check them out at the T-Biz Tube Computer Graphics video page HERE.